Are Buick and GMC’s Creative Accounts in Review? Sources speculate that a blind RFP making the rounds is an outreach from General Motors on behalf of its Buick and GMC brands, which are currently handled by Leo Burnett and Digitas. Last year, Buick spent $227 million in measured media, according to Kantar Media, while GMC invested $269 million. In 2007, Leo Burnett won the Buick and GMC accounts without a review after GM shifted the Buick business from McCann Erickson and GMC from what was then Lowe. A year ago, Burnett lost GM's line of Silverado pick-up trucks to Chevy agency Commonwealth//McCann, leaving Buick and GMC as the agency's remaining GM mainstay accounts. 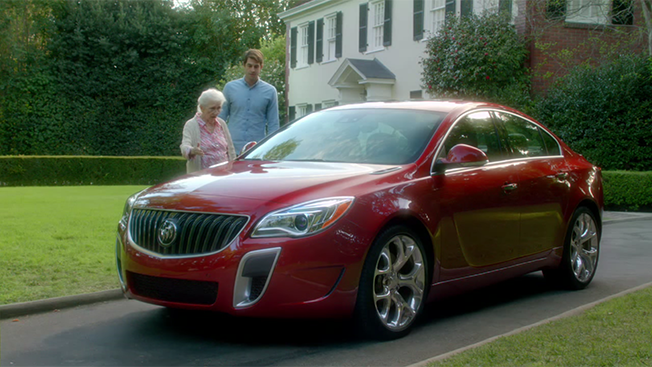 In recent years, Burnett has focused on updating Buick's perception of having a geriatric customer base by using self-deprecating ads that poke fun at that positioning. Buick marketing execs have publicly been supportive of that approach and of Burnett's work. This year, Buick is launching its Cascada midsize convertible and working on new ads for its Envision midsize crossover and a redesigned LaCrosse sedan, both of which go on sale this summer, with Buick's new Encore model coming out this fall. For GMC, recent ads have focused on the brand's attention to detail and upmarket appeal thanks to its Danali model. A GM spokesperson said about the RFPs: "We have nothing to share. Leo Burnett and Digitas remain our agencies of record. We don't comment on rumors and speculation or on the particulars of our agency projects." In addition, Dave Beals, president at industry consultants JLB which is said to be handling the search, also declined comment. In first-quarter sales results released last week, GM trumpeted the performance of GMC as having its best March retail sales month since 2005, with sales rising 13 percent, while Buick experienced its best first-quarter since 2004, with sales up 9 percent.